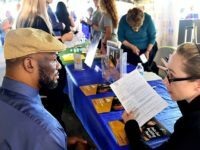 More than 12 million Americans have remain sidelined from the U.S. workforce despite their wanting full-time employment, federal data suggests. 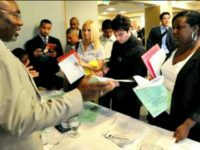 Working class American men have struggled to increase their labor participation rate to workforce levels before the Great Recession of 2007, new data finds. 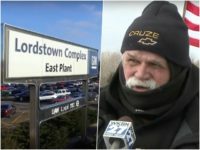 American workers in Lordstown, Ohio, are continuing to be laid off in supporting industries after multinational corporation General Motors (GM) closed its plant in the area this year. 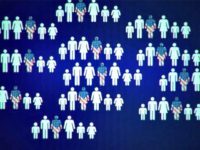 A plan to boost Americans’ wages by reducing the mass flow of legal immigration to the United States has been reintroduced in the Senate by Senators Tom Cotton (R-AR), David Perdue (R-GA), and Josh Hawley (R-MO) after earning an endorsement from President Trump in 2017. 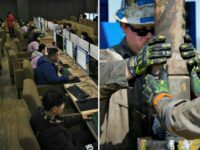 The foreign labor force in the United States is growing at nearly three times the rate of the native-born American labor force, data from the Bureau of Labor Statistics reveals. 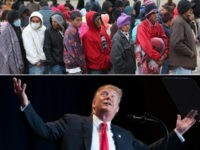 Former Kansas Secretary of State Kris Kobach says the flood of illegal immigrants arriving in the United States on a daily basis is “undercutting” President Trump’s “Hire American” economy by threatening to choke recent wage hikes for America’s blue collar and working class. 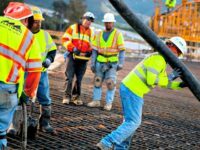 Wage hikes for America’s blue collar and working class can be readily suppressed and choked by importing more foreign workers for employers, the New York Times admits. 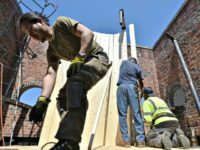 President Trump must hold strong to his “Buy American, Hire American” economic nationalist agenda on immigration to drive up wages and job prospects for U.S. workers, shunning the Wall Street-preferred expansionist policy of mass illegal and legal immigration, a new ad says. 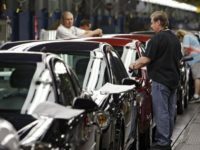 Executives at General Motors (GM) closed the Lordstown, Ohio, assembly plant last month — resulting in the immediate layoff of about 1,600 American workers — despite major concessions from the United Auto Workers (UAW), new details reveal. 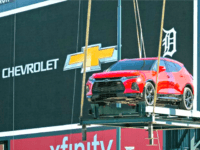 Multinational automaker General Motors (GM) removed its made-in-Mexico red Chevrolet Blazer SUV from a display at Detroit, Michigan’s Comerica Park this week after backlash from American workers. 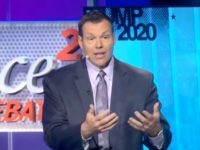 Former Kansas Secretary of State Kris Kobach says President Trump’s delivery of wage hikes through stricter immigration enforcement in the interior of the U.S. has been a “massive accomplishment” for America’s blue-collar and working-class communities. 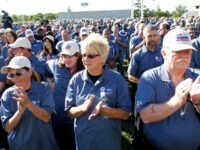 Ford Motor Company executives have announced a new investment in American workers and the state of Michigan with plans to invest $900 million in the United States, set to create 900 U.S. jobs. 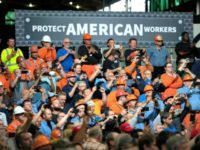 During a rally in Lima, Ohio on Wednesday, President Trump called on the United Auto Workers (UAW) and General Motors (GM) to work together immediately to reopen the corporation’s Lordstown, Ohio assembly plant. 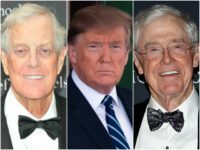 President Trump says he wants to make deals with the “hard working” American workers that make up unions, rather than the “not honest” union leaders whom he said are beholden to the Democrat Party establishment. 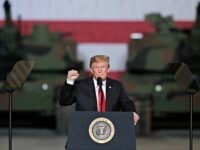 America First Policies Senior Policy Adviser Curtis Ellis says President Trump should impose a 25 percent tariff on auto imports to save American auto manufacturing from China’s efforts to dominate the industry. 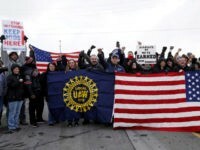 The United Auto Workers (UAW) — which represents thousands of American workers at General Motors (GM) — is standing with President Trump in his recent call for GM CEO Mary Barra to reopen the corporation’s idled Lordstown, Ohio assembly plant. 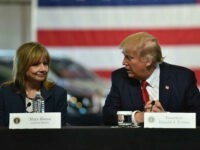 President Donald Trump this weekend called out multinational corporation General Motors (GM) for closing its first of four U.S. assembly plants it expects to shutter this year, urging GM CEO Mary Barra to quickly reopen the plant. 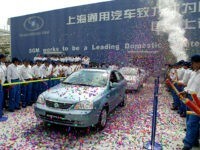 Japanese automaker Toyota will add 600 American manufacturing jobs with a $13 billion investment in the United States by 2021, executives revealed Thursday. 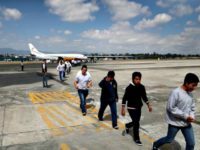 The latest wage-crushing, mass immigration initiative by House Democrats would allow already deported illegal aliens to apply for amnesty to permanently resettle in the United States. 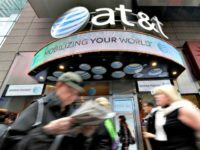 AT&T CEO Randall Stephenson raked in a more than $29 million salary last year while nearly 12,000 American workers at the telecom multinational corporation have been laid off since the 2017 tax cut. Wells Fargo CEO Tim Sloan was grilled during a congressional hearing this week for the multinational corporation’s outsourcing scheme that has left thousands of Americans out of work. 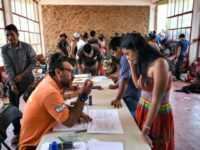 Foreign workers have now outpaced American workers in terms of job growth for at least half a year, new Bureau of Labor Statistics data reveals. President Trump ought to be in Michigan, Ohio, and Maryland standing with laid off American workers at General Motors (GM) rather than meeting with Apple CEO Tim Cook at the White House, polling analyst Ryan Girdusky says. 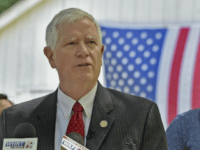 Rep. Mo Brooks (R-AL) says the “Masters of the Universe” want more legal immigration to the United States to further diminish the incomes of American working and middle-class families. 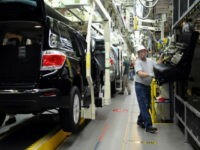 Nearly 5-in-10 Michigan voters said they will likely vote to replace President Trump in the upcoming 2020 presidential election as General Motors (GM) continues layoffs in the state and keeps working class communities in the dark about future layoffs. 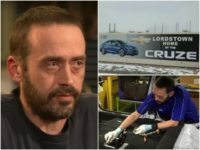 American General Motors (GM) worker Aaron Applegate detailed his last day at the multinational corporation’s Lordstown Ohio Assembly plant as GM executives close the site, just one of four being closed this year. 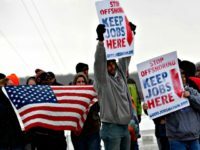 Multinational corporation General Motors (GM) has idled its assembly plant in Lordstown, Ohio — the largest plant it will shut down this year — leaving about 1,600 American workers out of a job and displaced in the labor market. 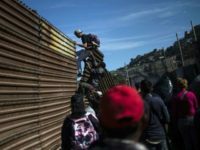 President Trump continues to request “more” foreign workers enter the United States to take American jobs that would otherwise go to sidelined U.S. workers as the southern border is overrun with record levels of illegal immigration.